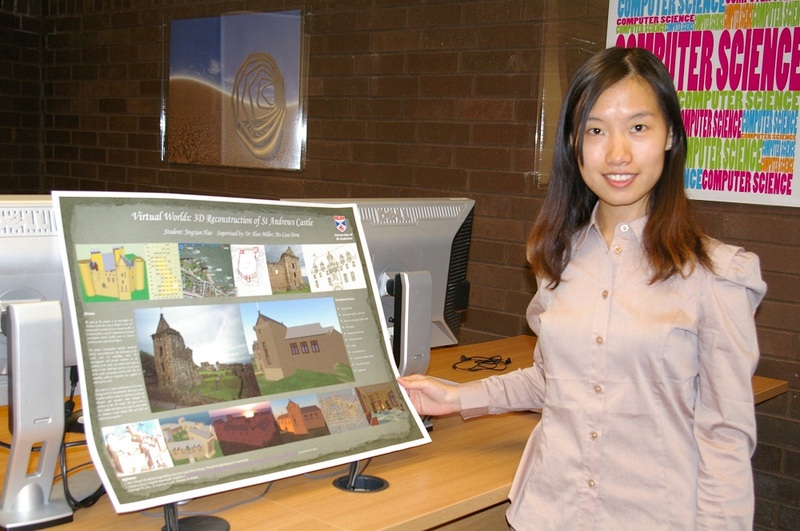 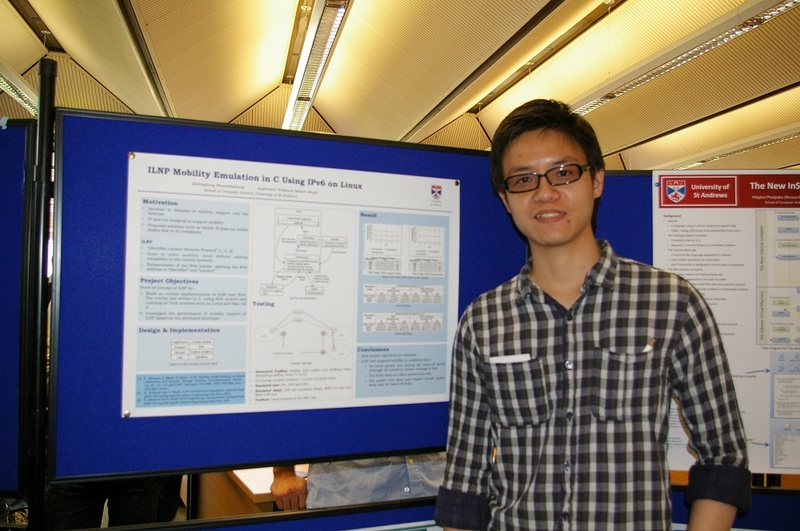 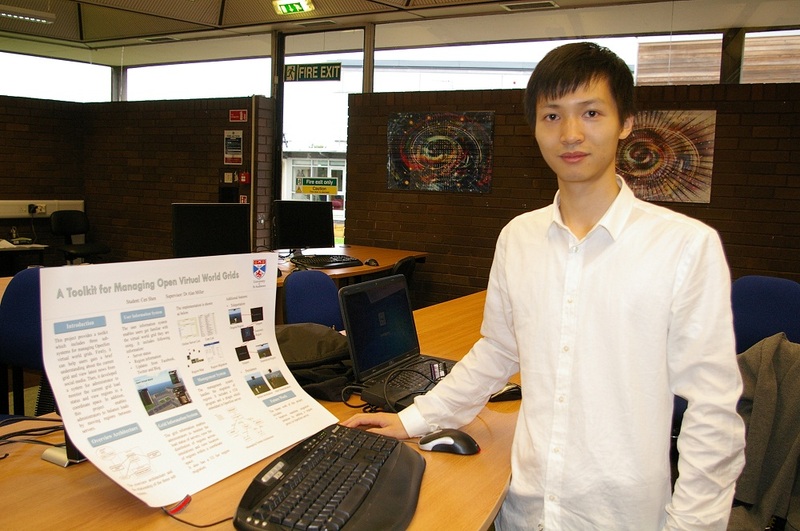 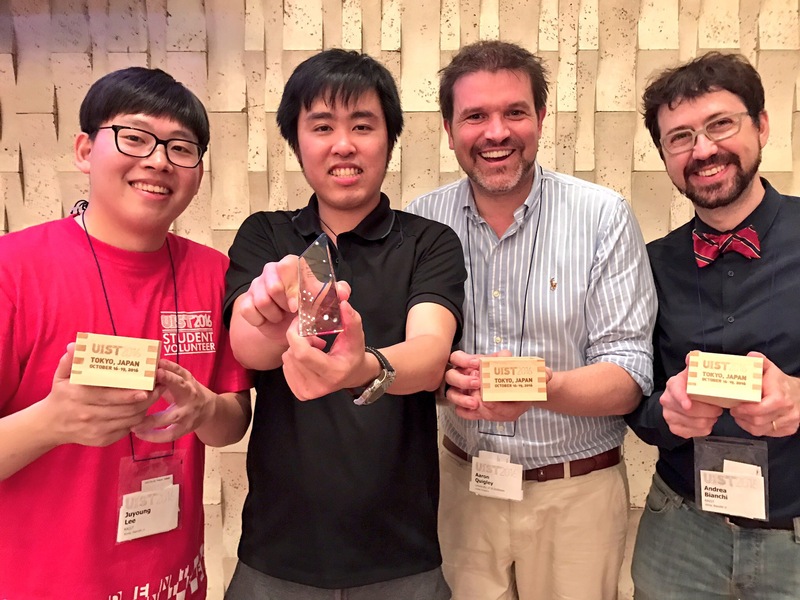 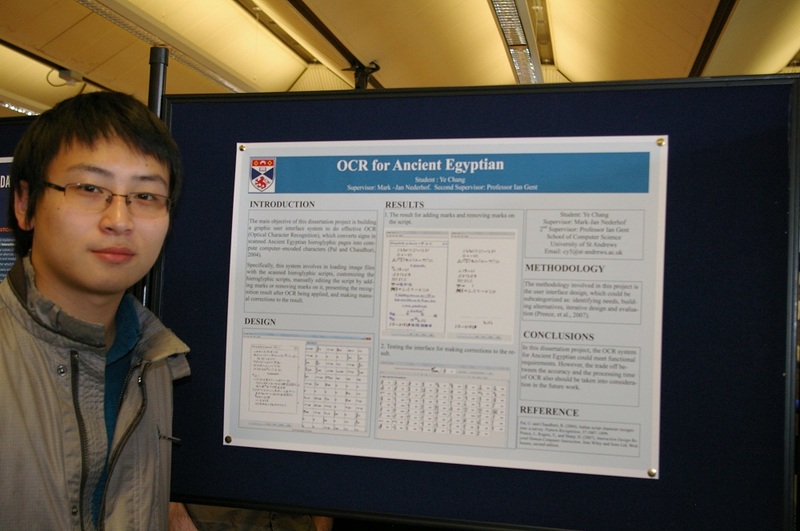 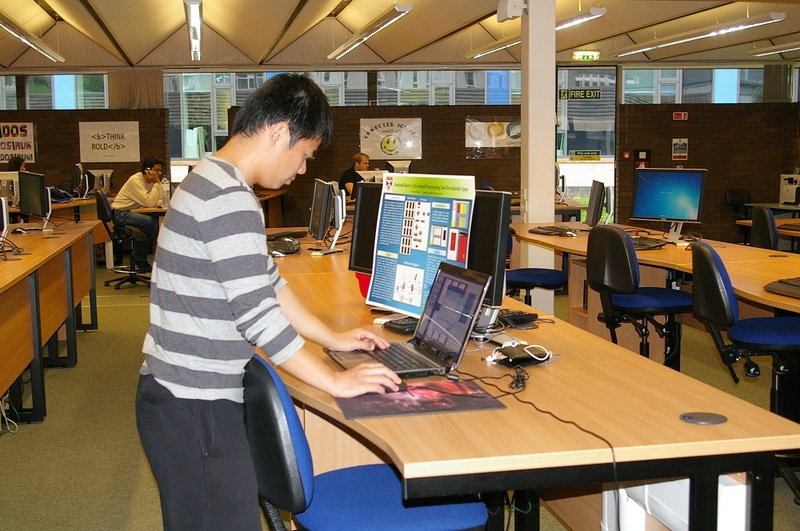 Congratulations to Hui-Shyong Yeo, Professor Aaron Quigley and colleagues, who won best poster at UIST2016. 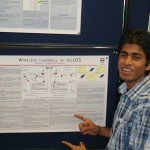 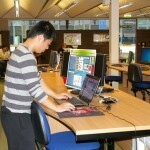 Their paper Sidetap and Slingshot Gestures on Unmodified Smartwatches, is available through the ACM digital library. 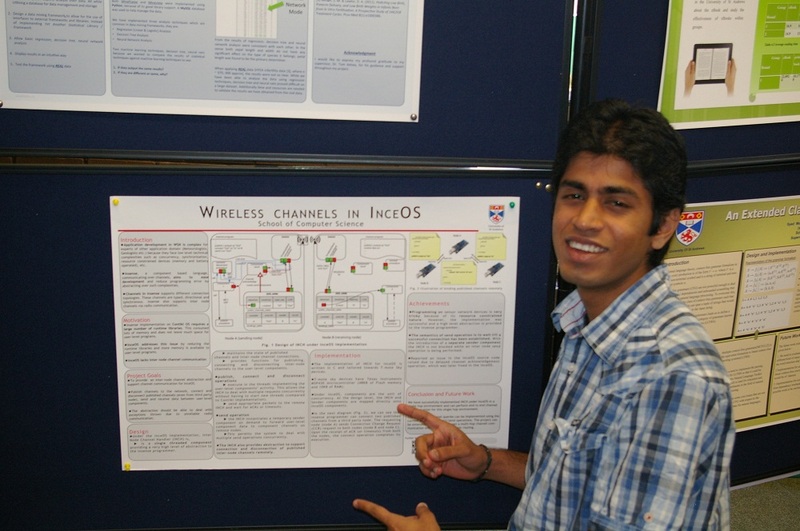 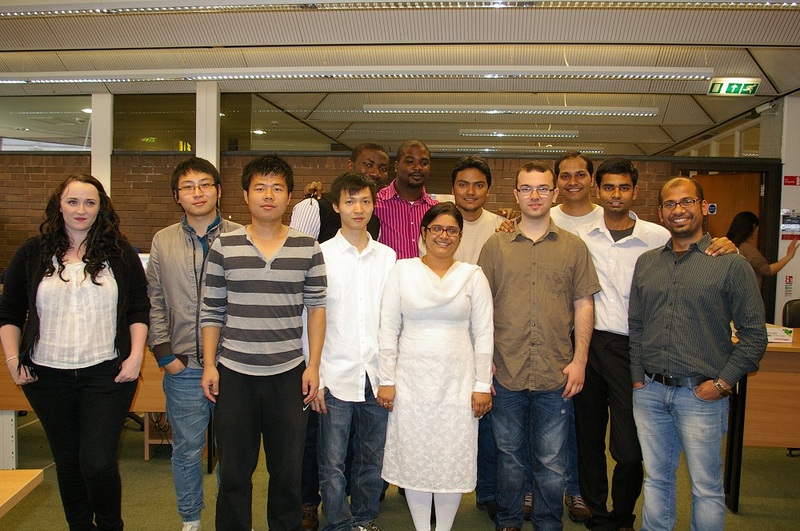 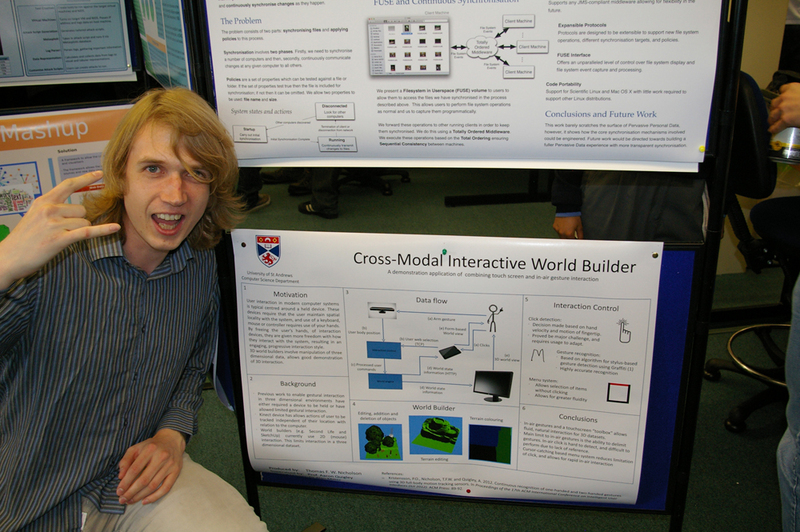 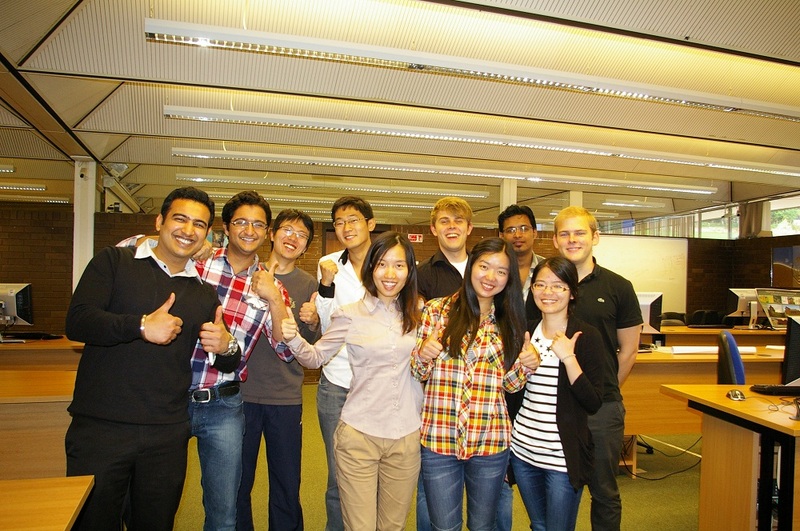 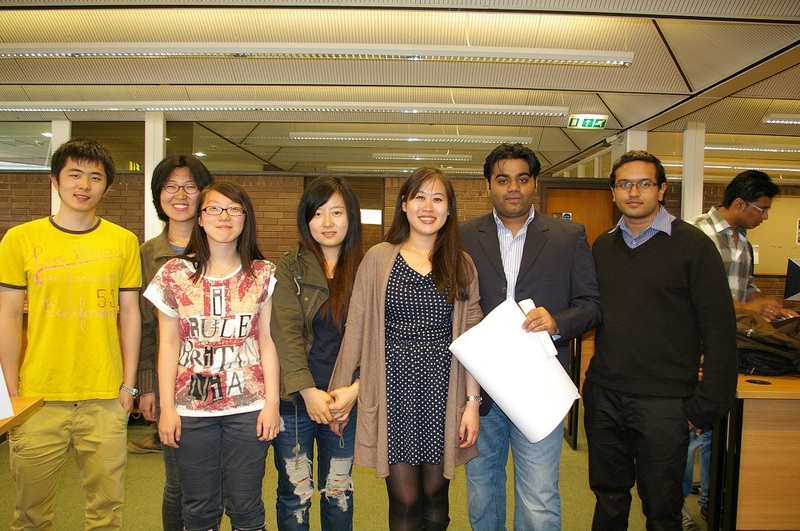 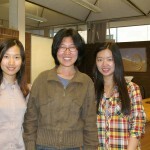 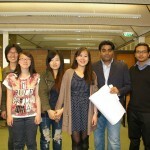 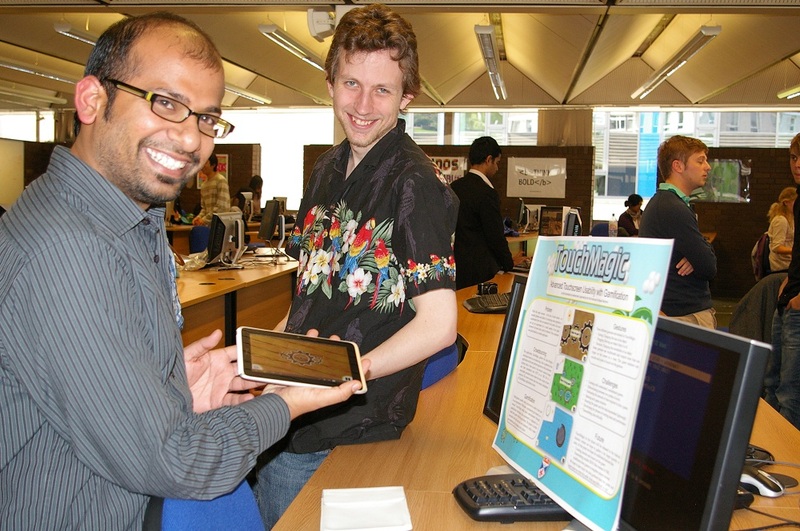 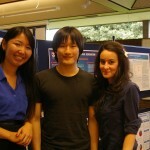 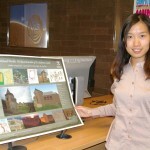 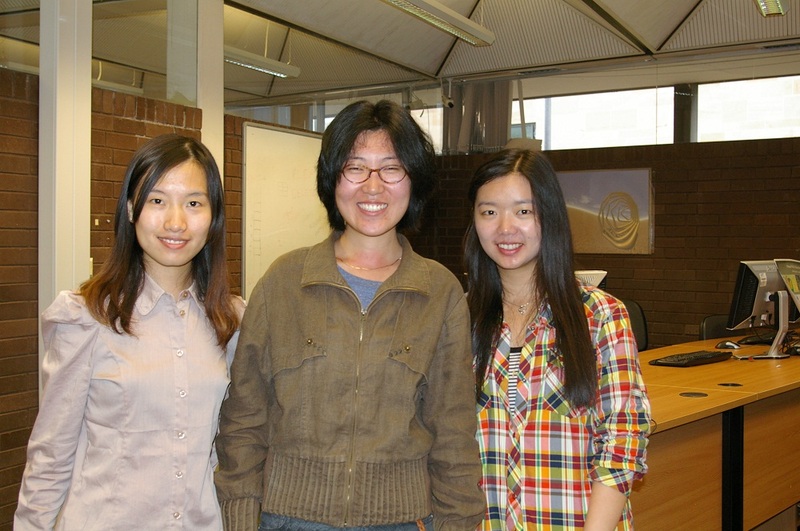 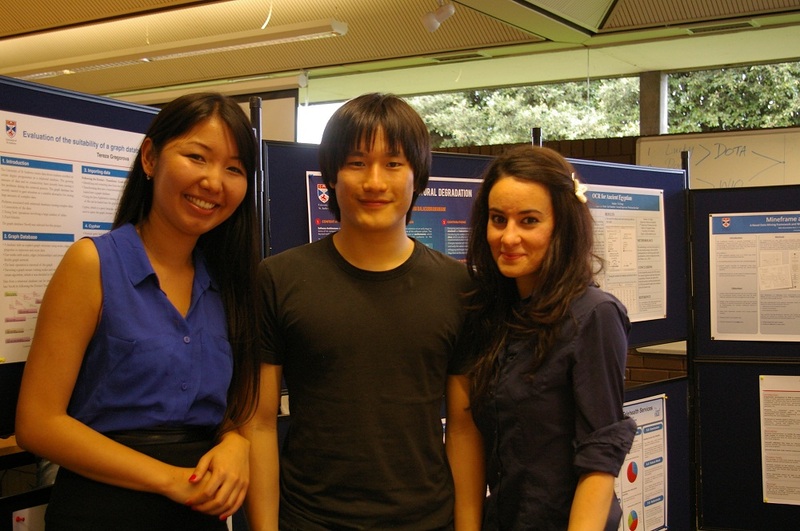 Students and staff are pictured at the annual PhD poster session. 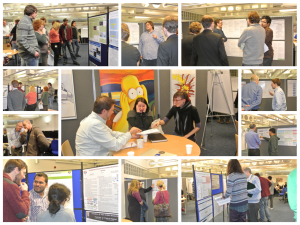 The perfect opportunity,before teaching starts for supervisors and reviewers to catch up with student progress, and a great venue for students to discuss their research with their peers. 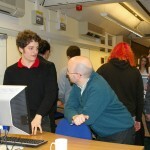 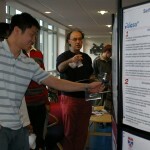 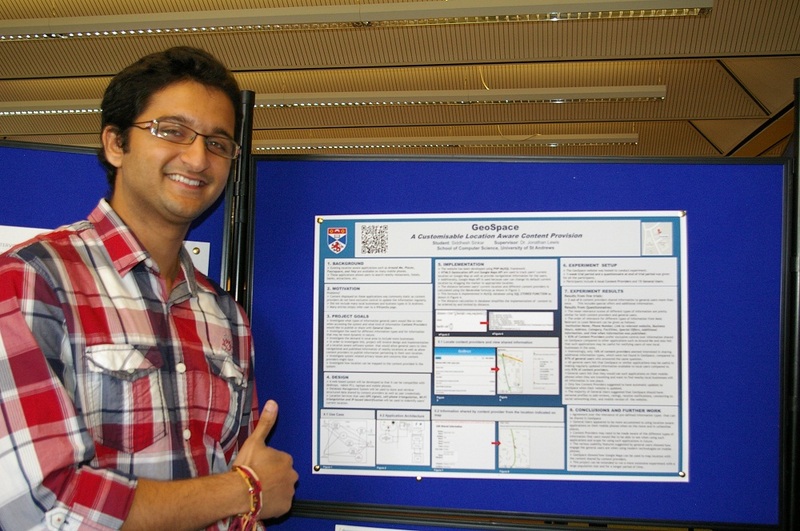 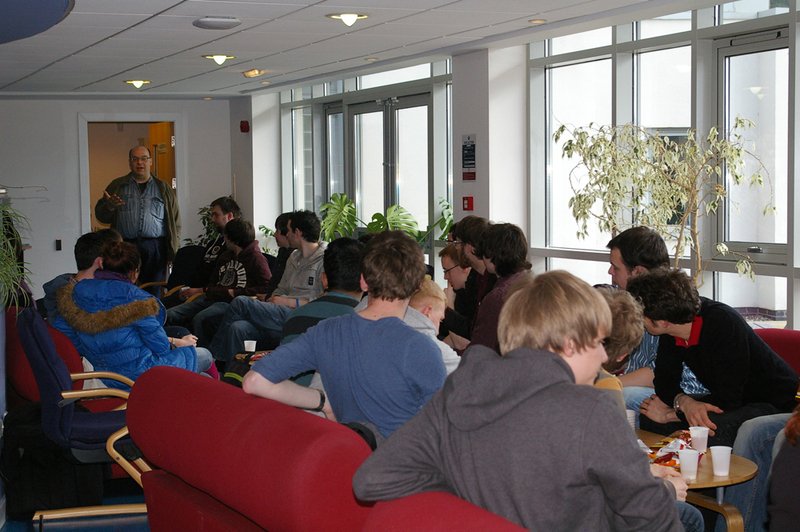 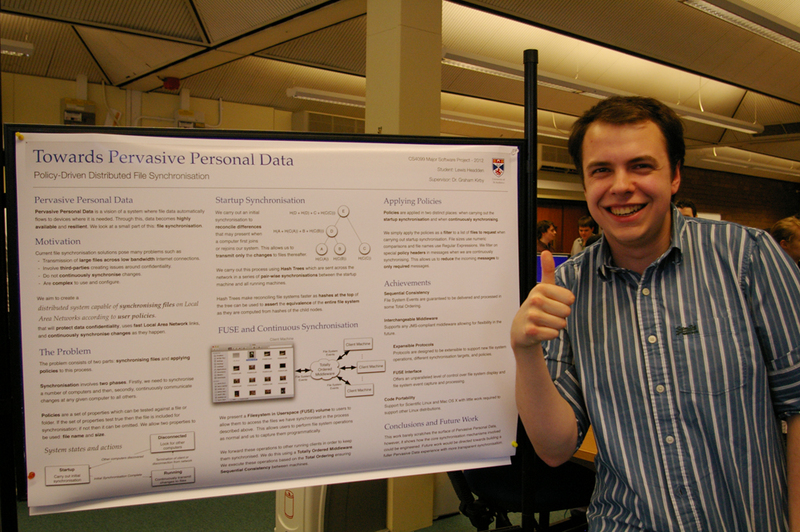 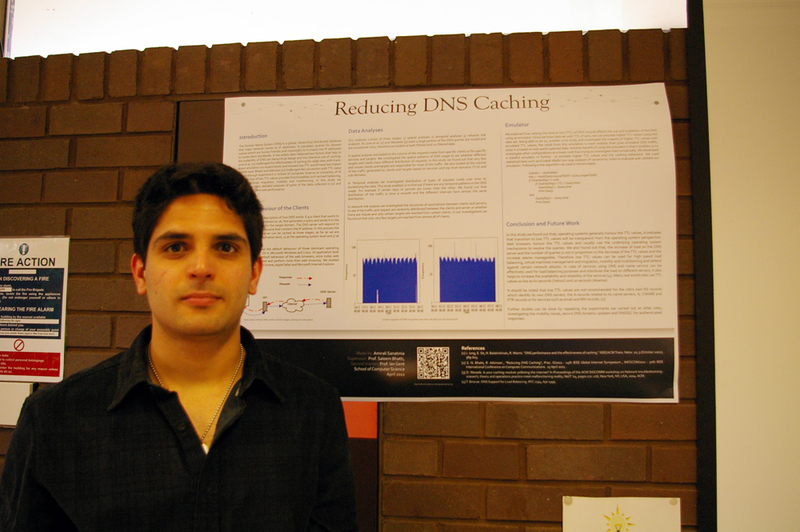 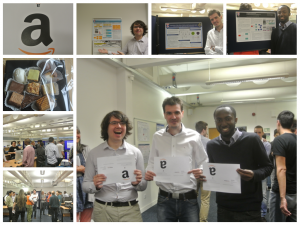 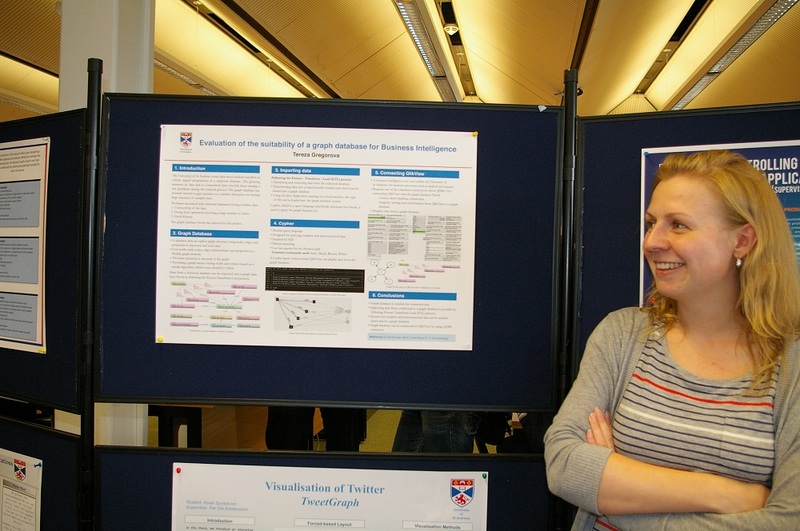 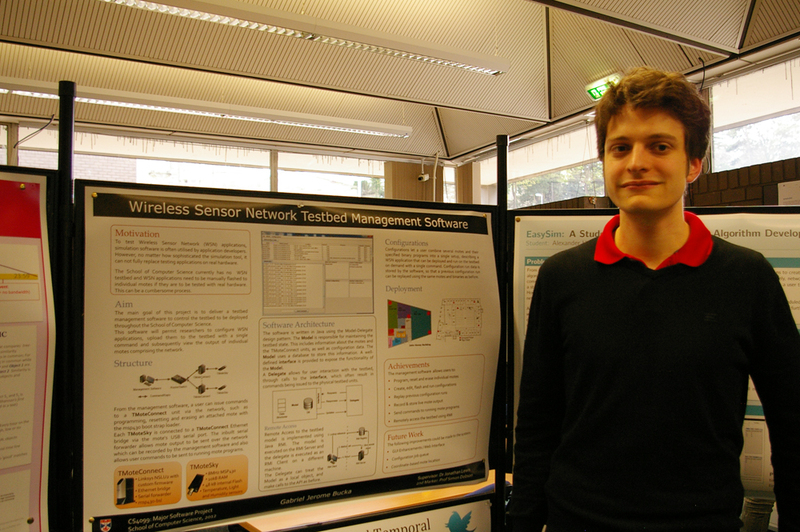 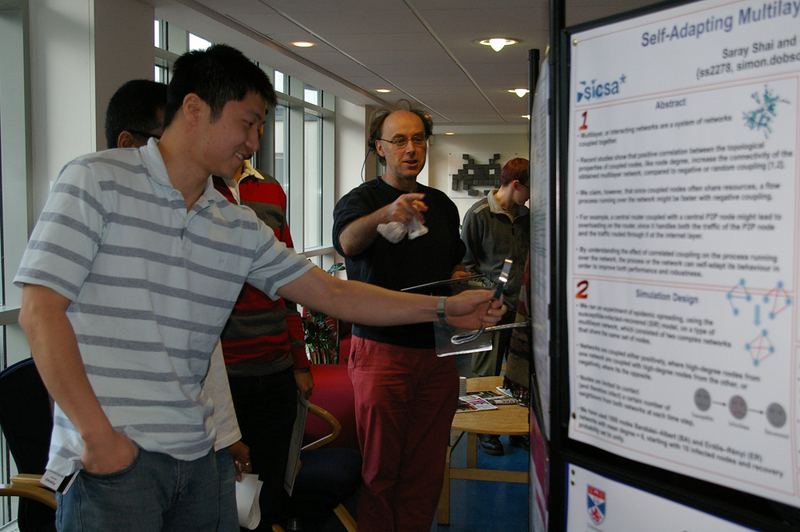 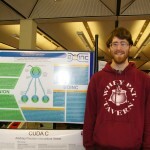 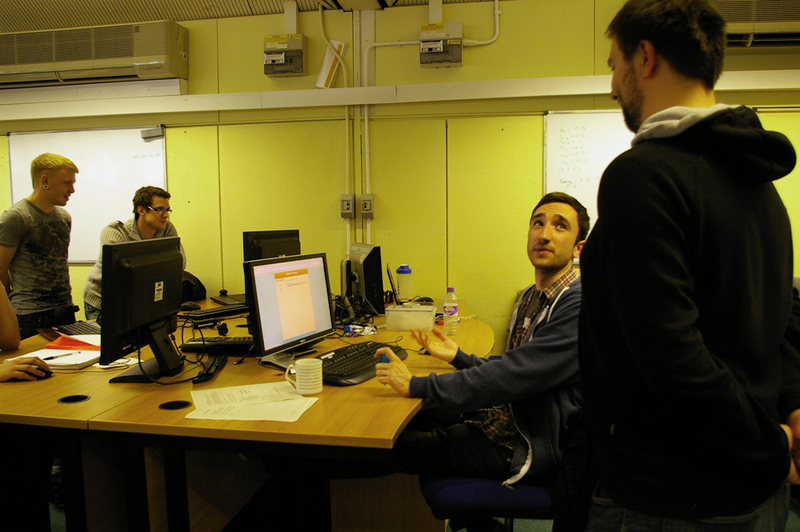 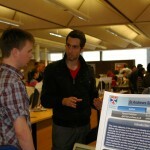 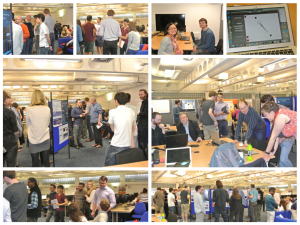 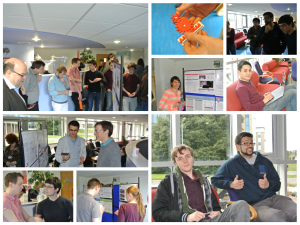 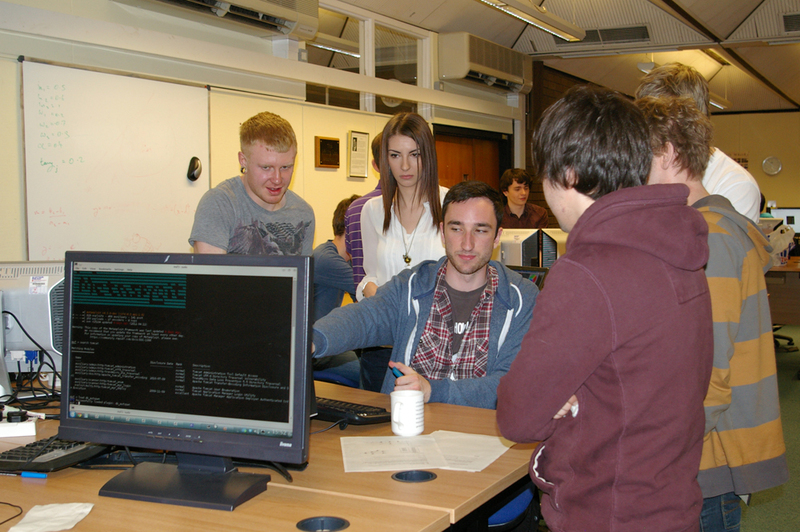 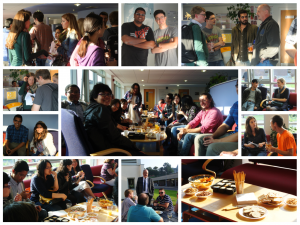 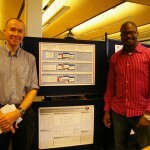 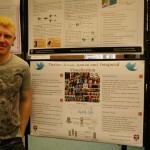 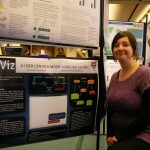 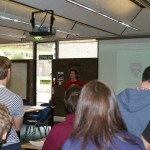 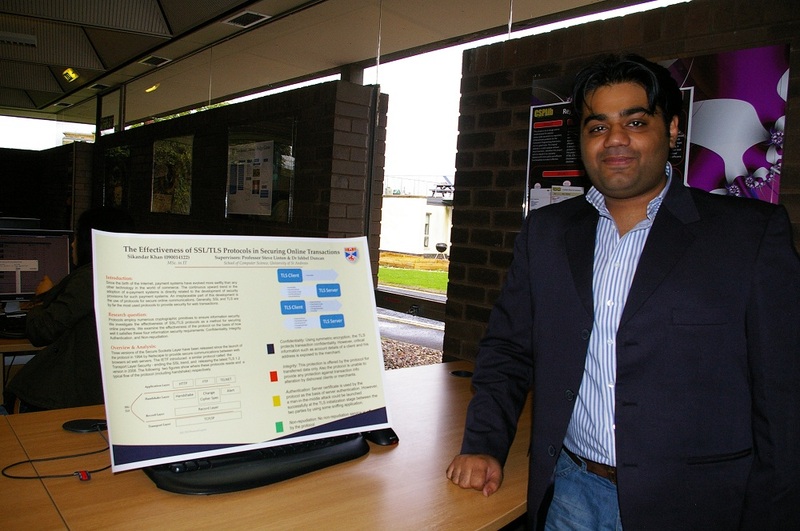 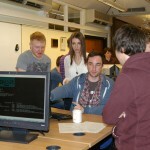 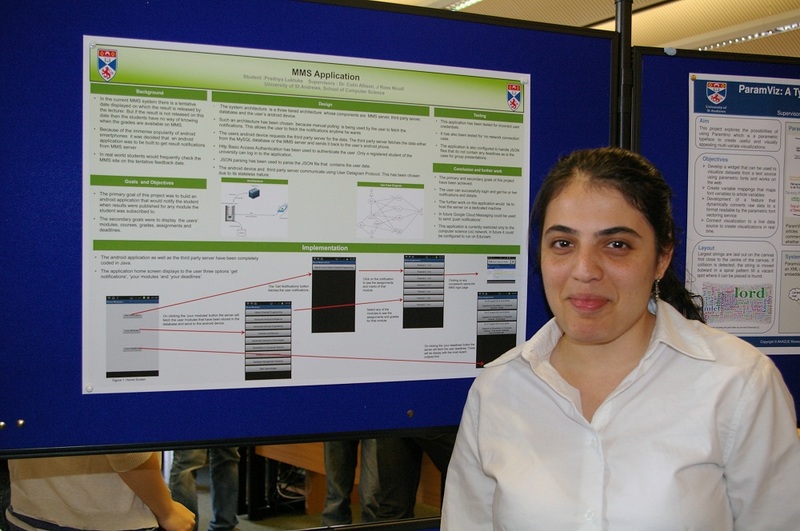 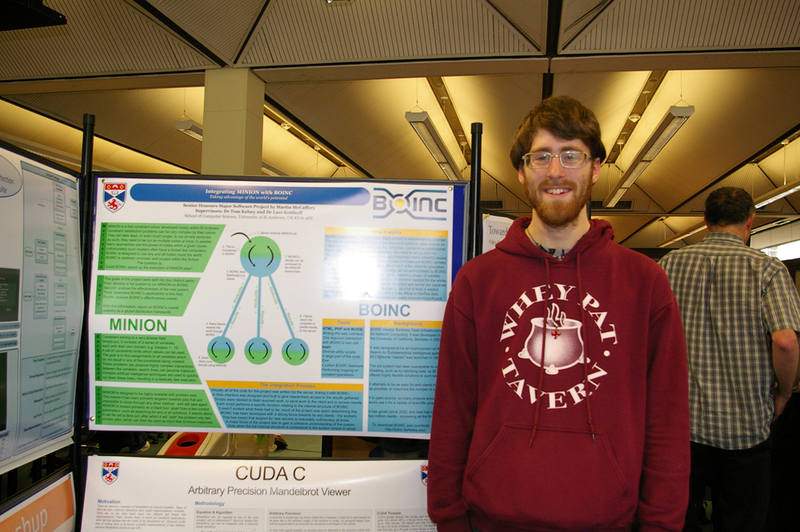 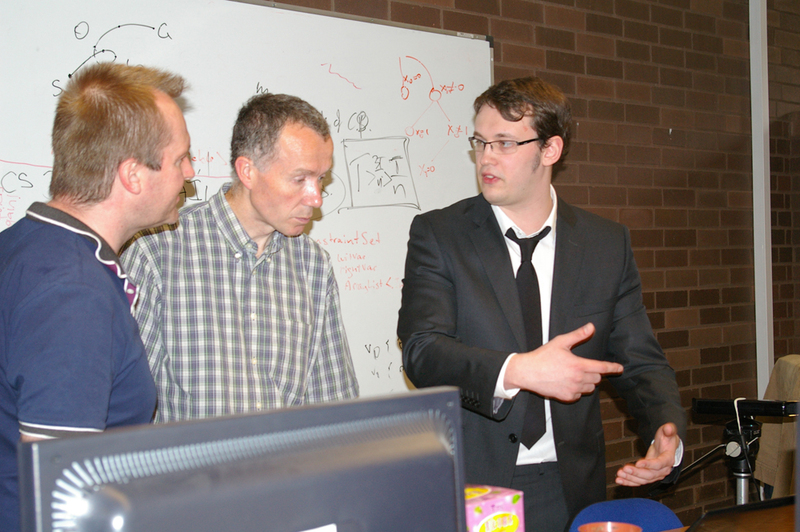 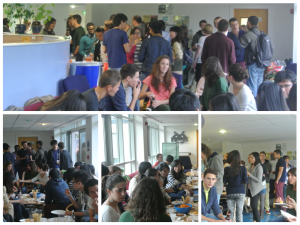 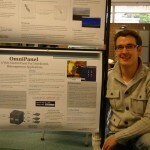 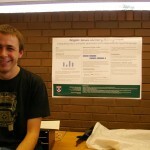 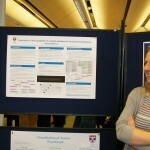 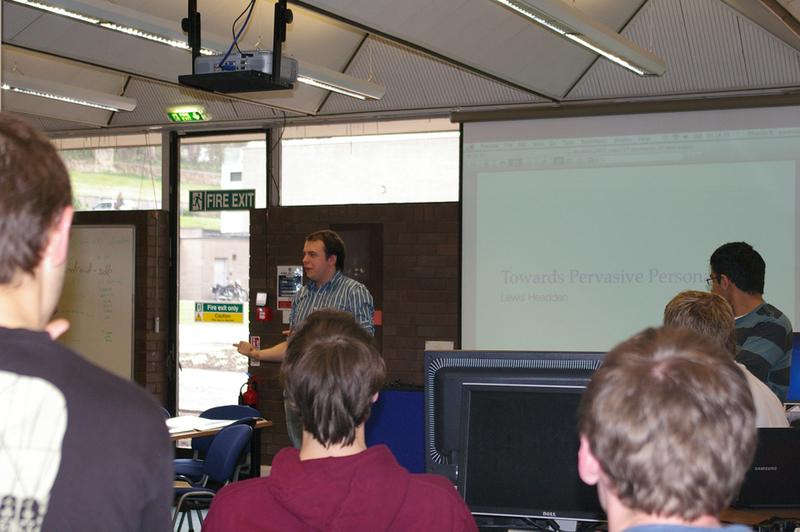 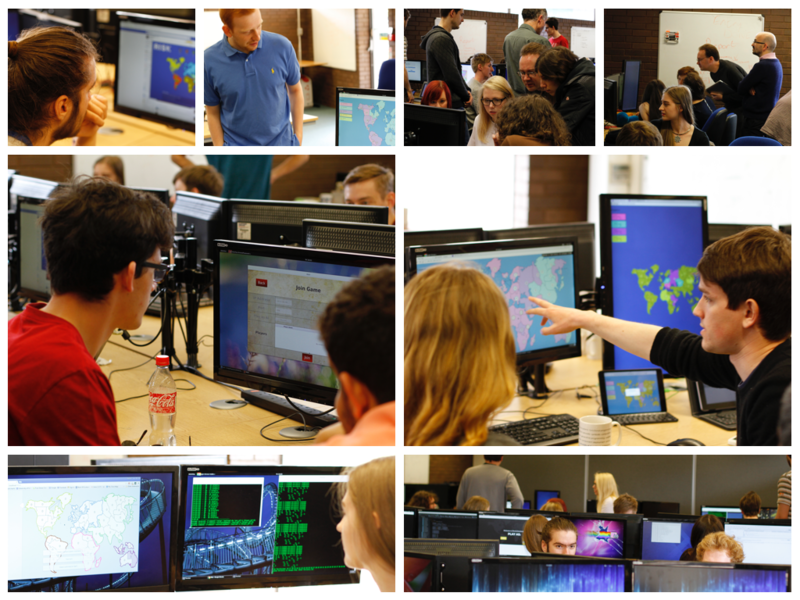 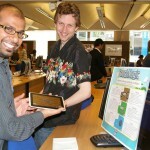 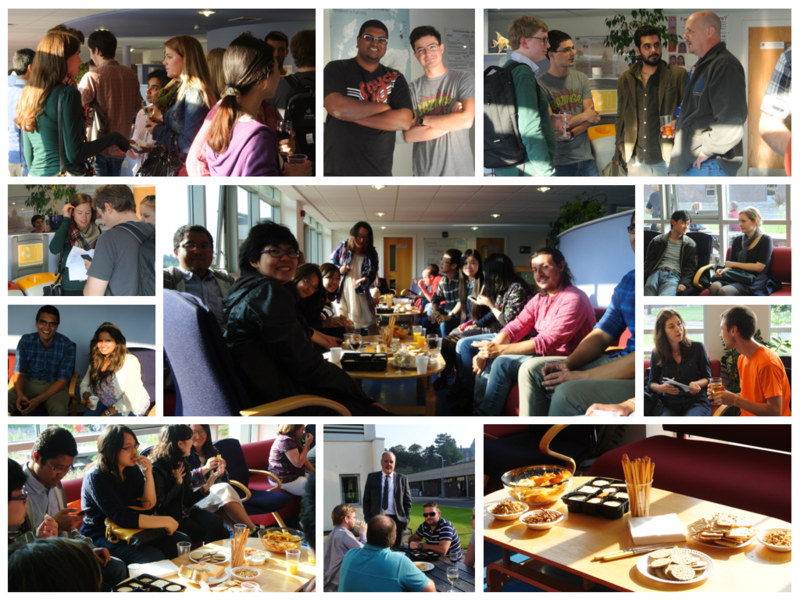 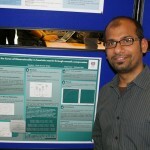 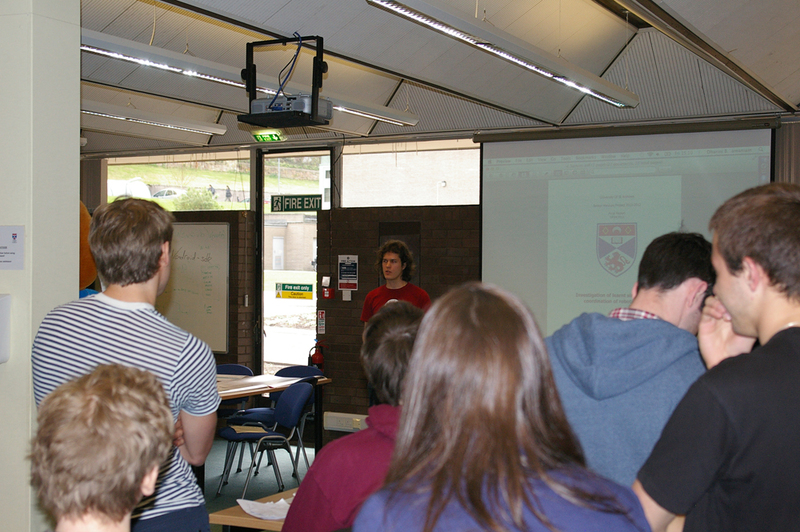 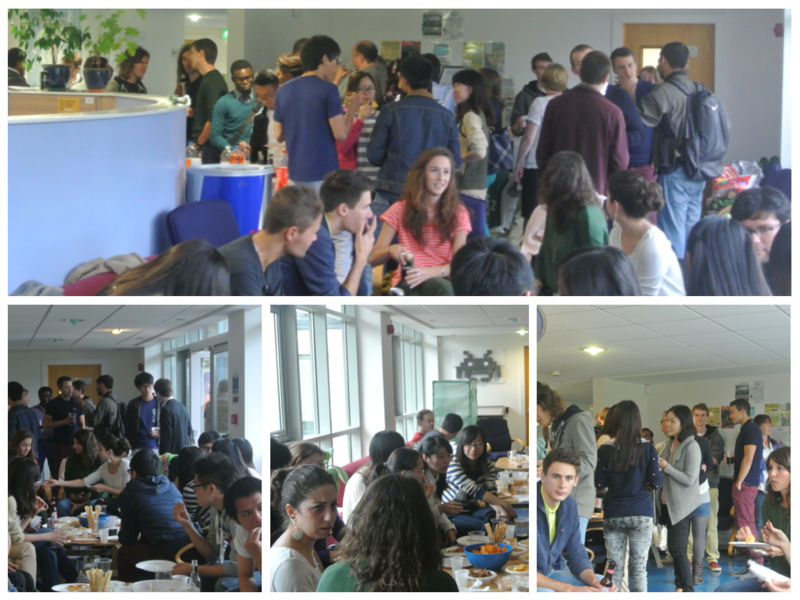 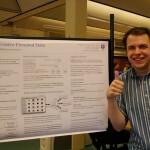 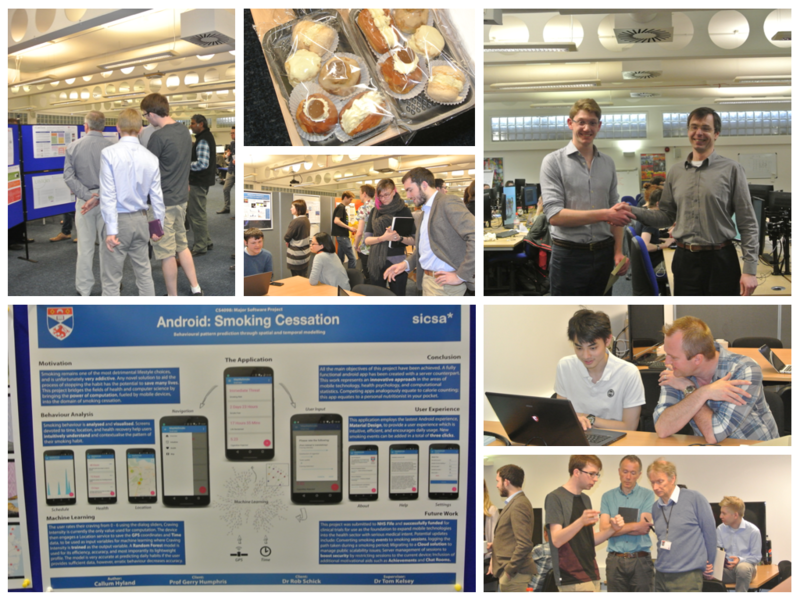 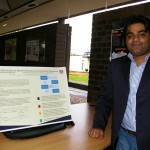 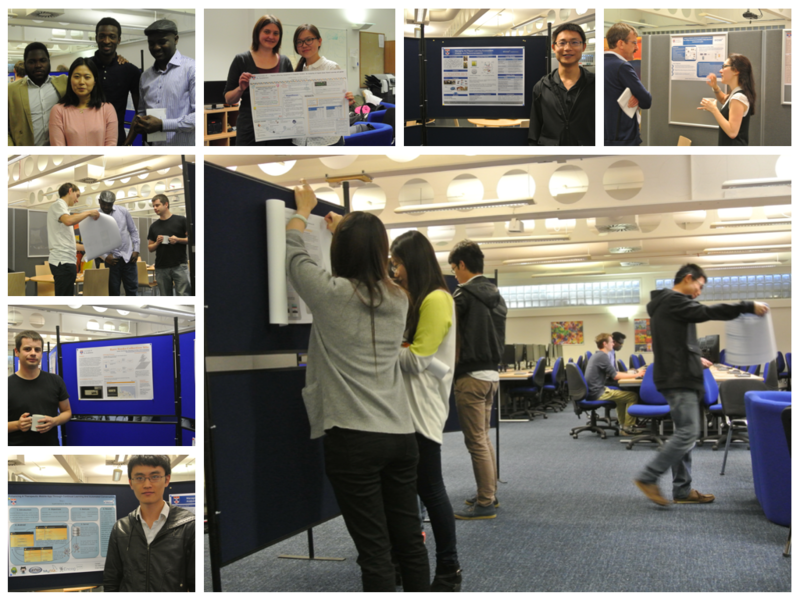 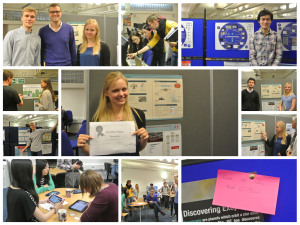 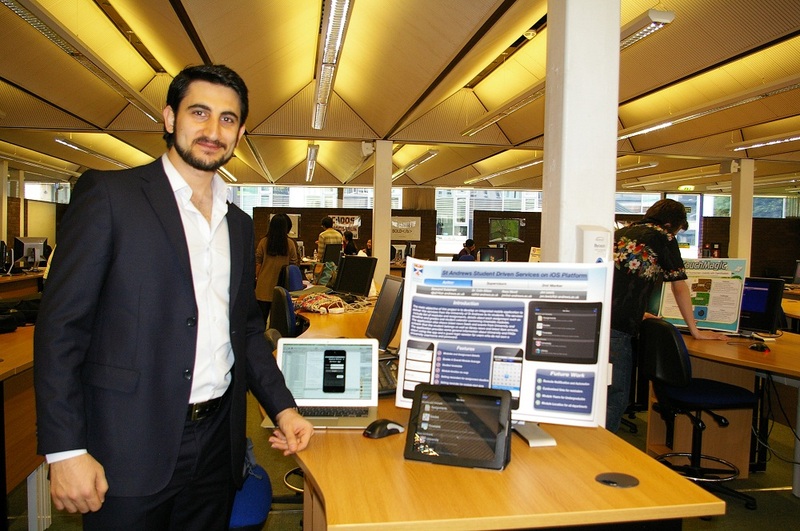 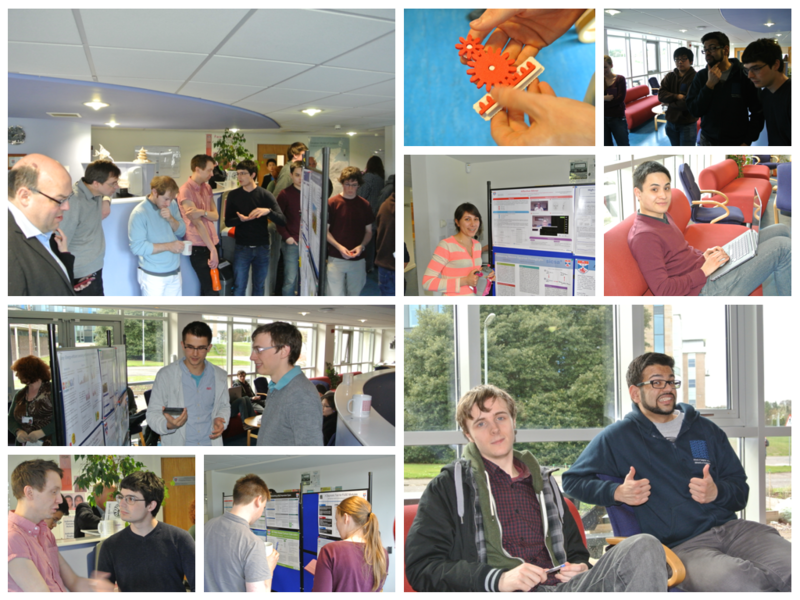 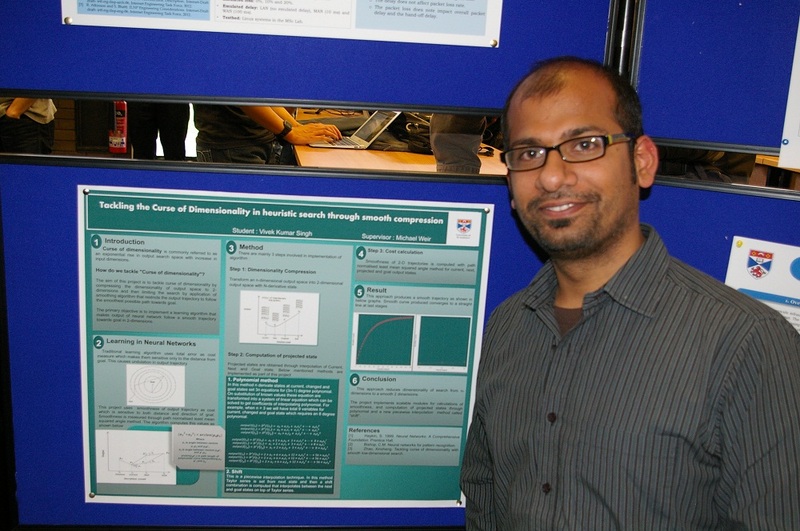 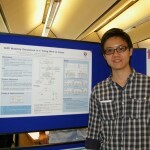 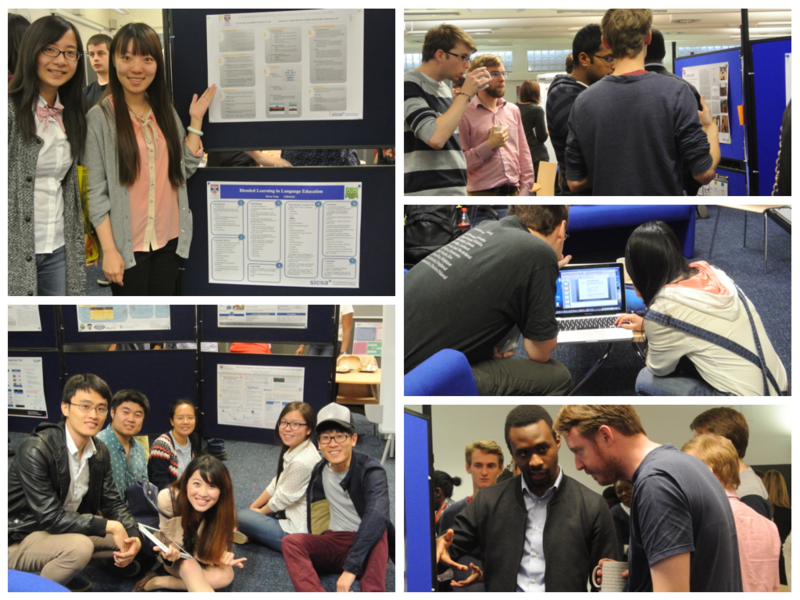 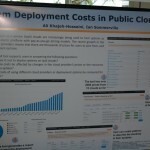 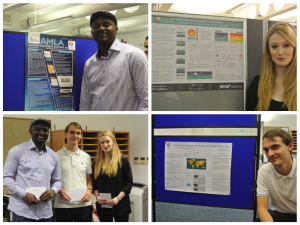 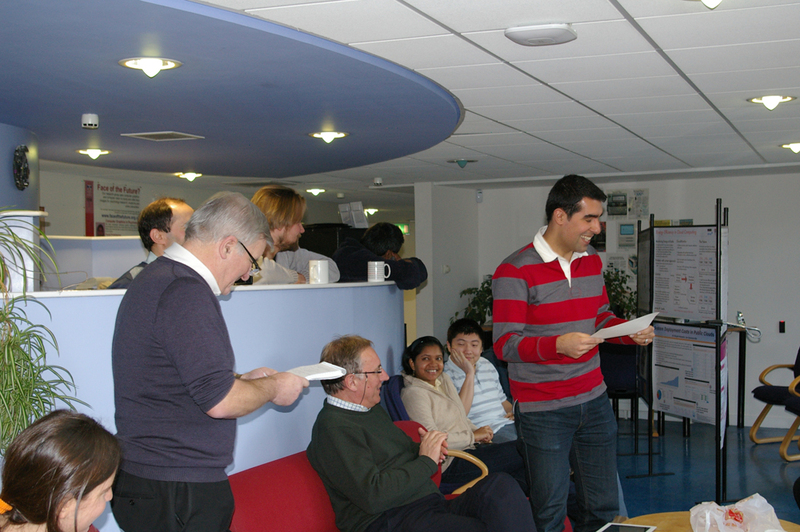 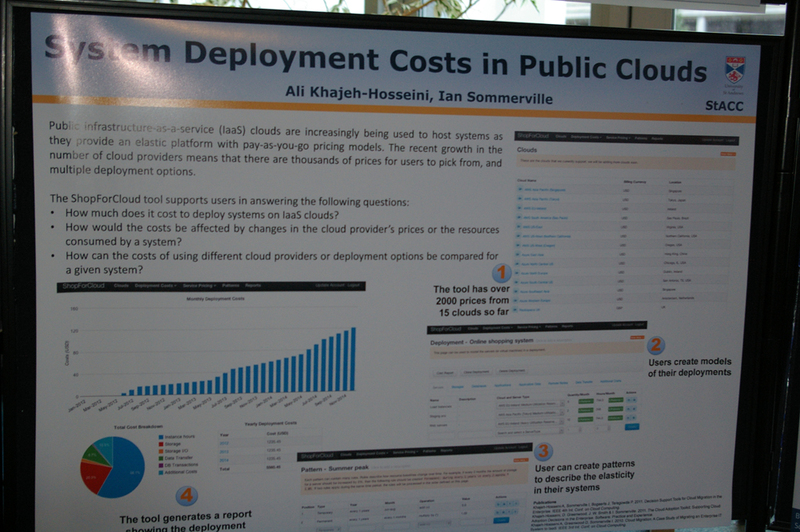 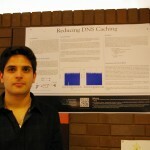 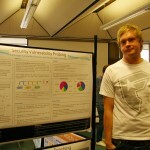 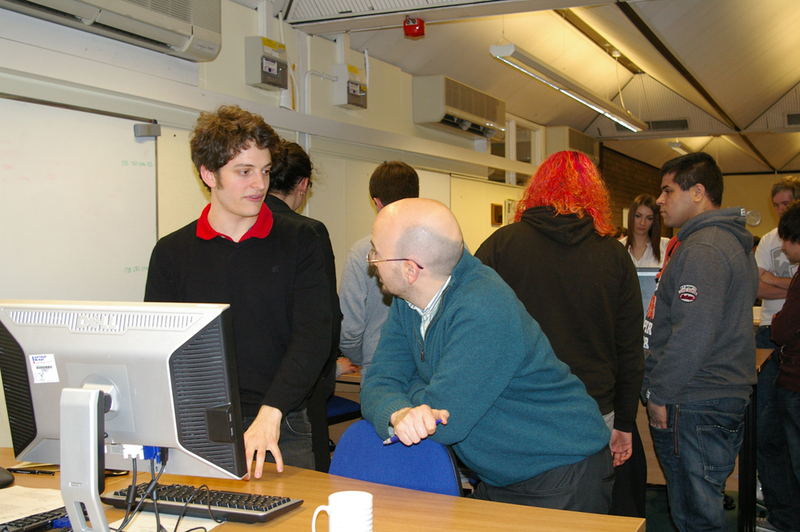 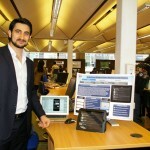 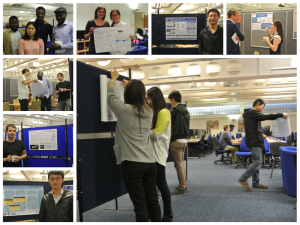 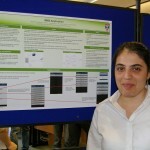 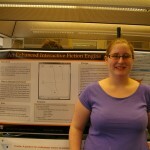 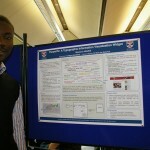 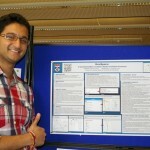 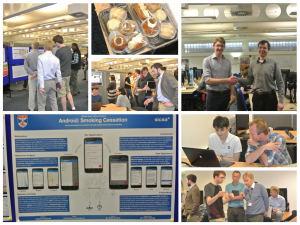 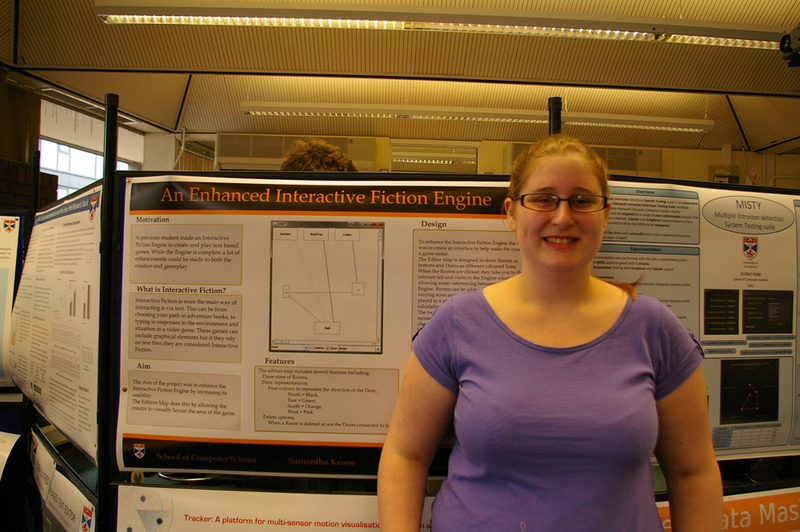 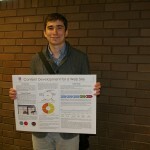 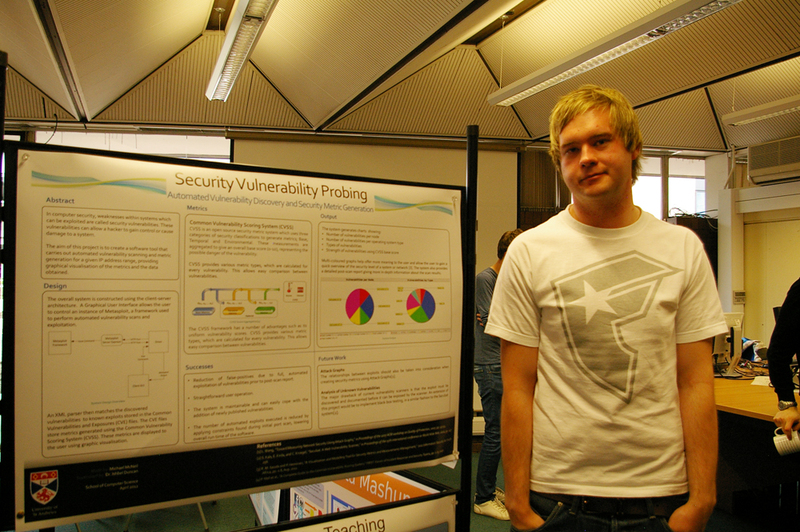 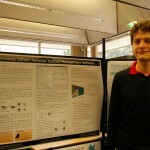 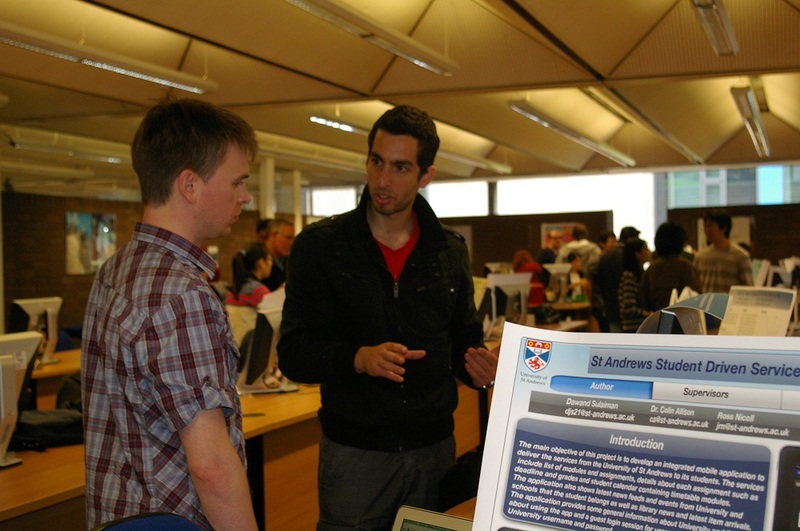 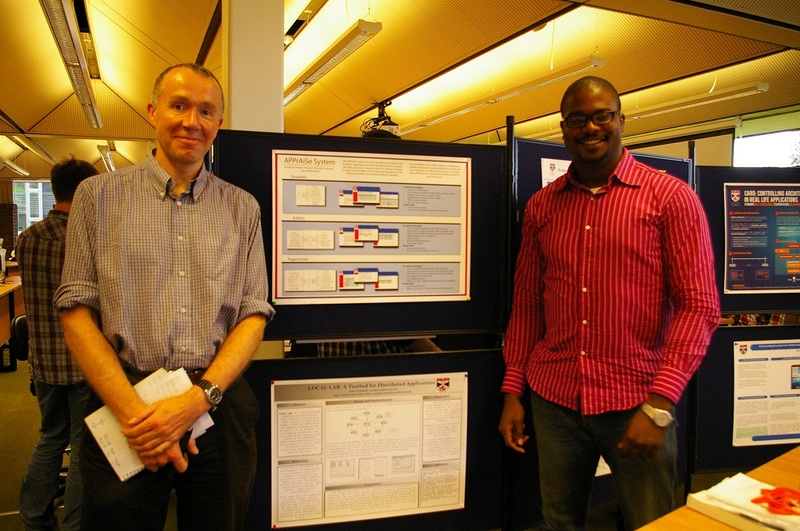 The PhD poster session took place today in the Jack Cole coffee area. 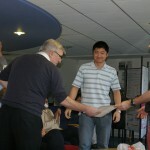 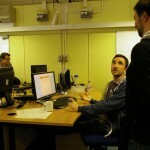 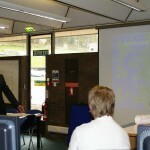 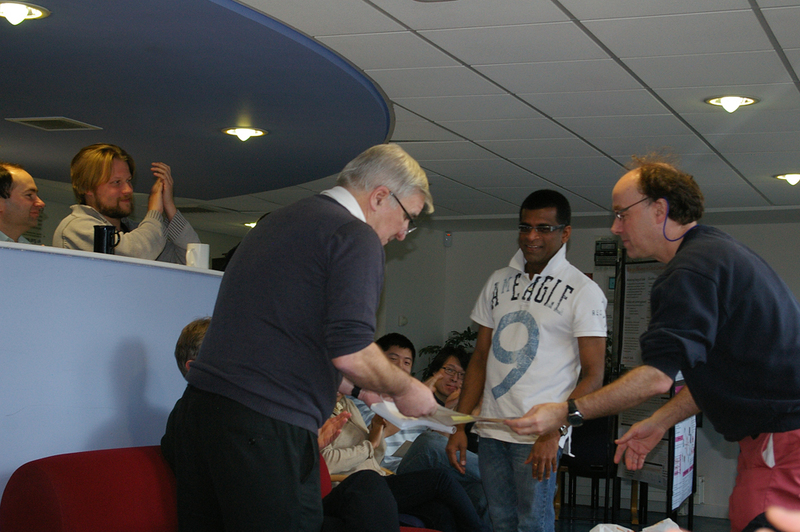 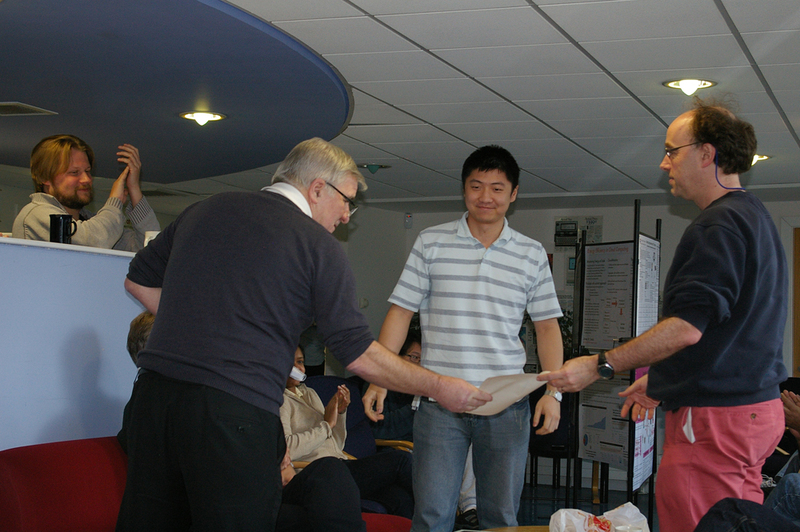 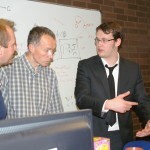 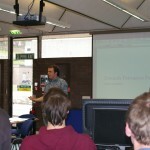 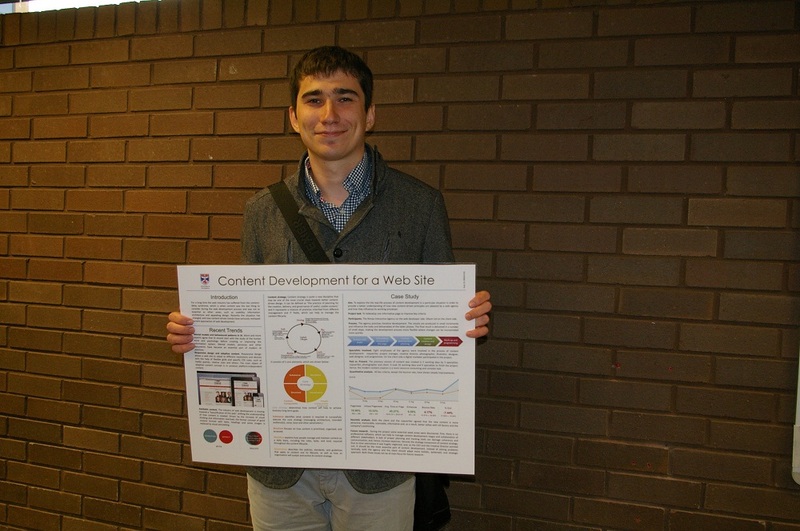 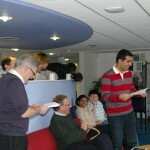 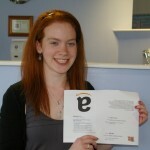 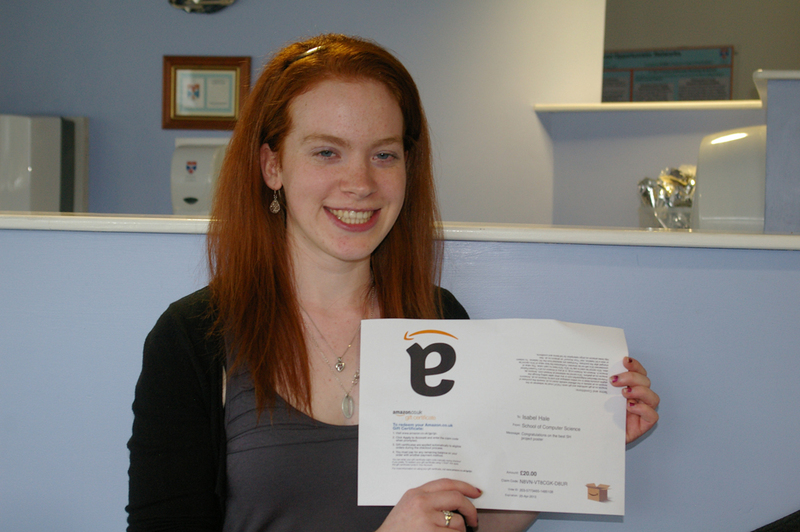 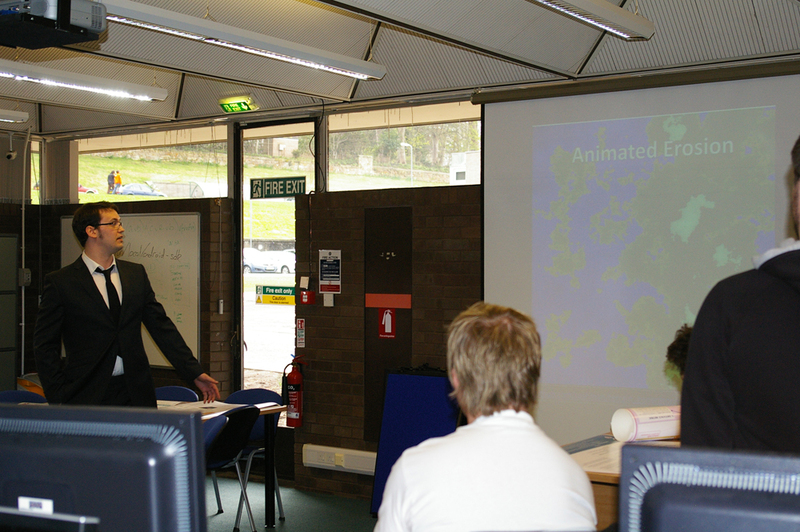 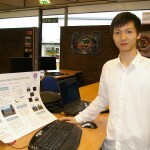 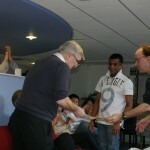 Ron Morrison awarded Amazon vouchers to the three best posters. 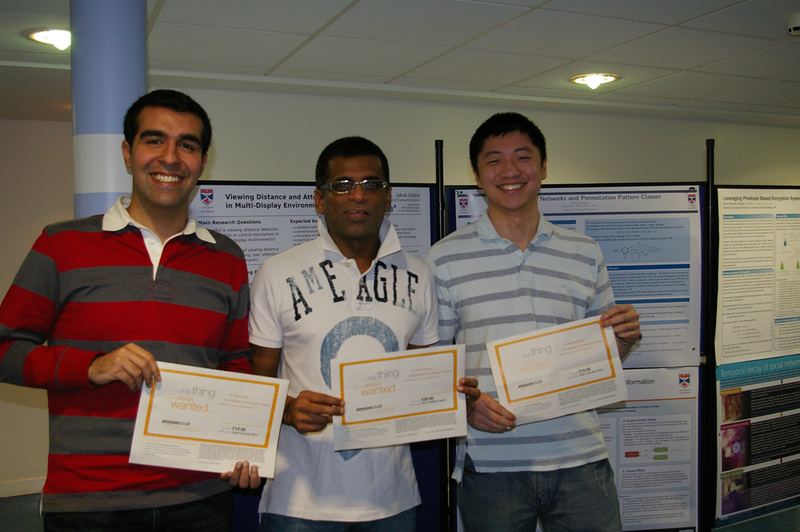 Congratulations to Lakshitha, Yi and Ali. 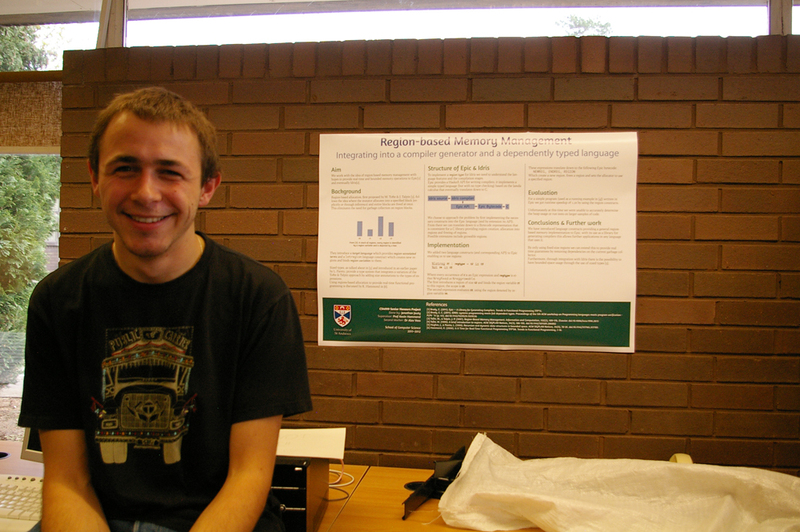 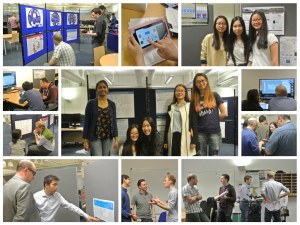 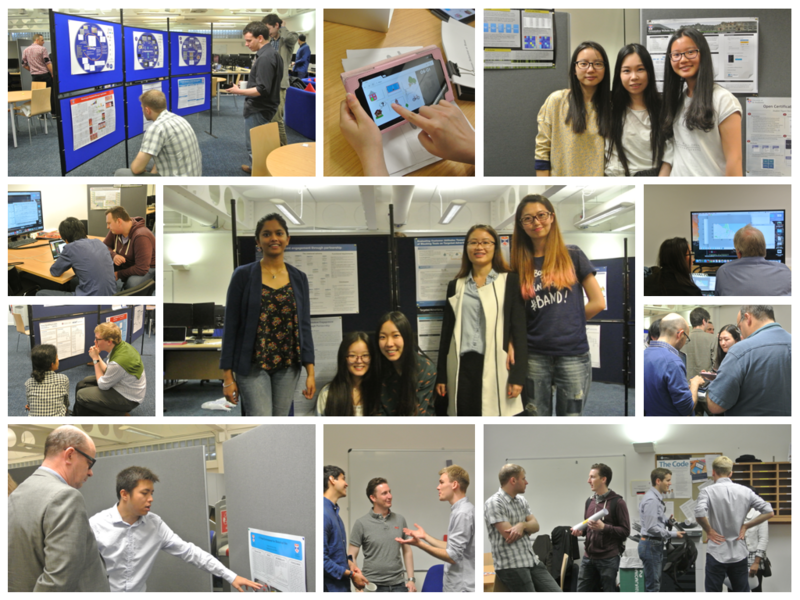 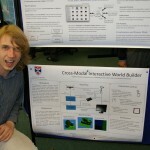 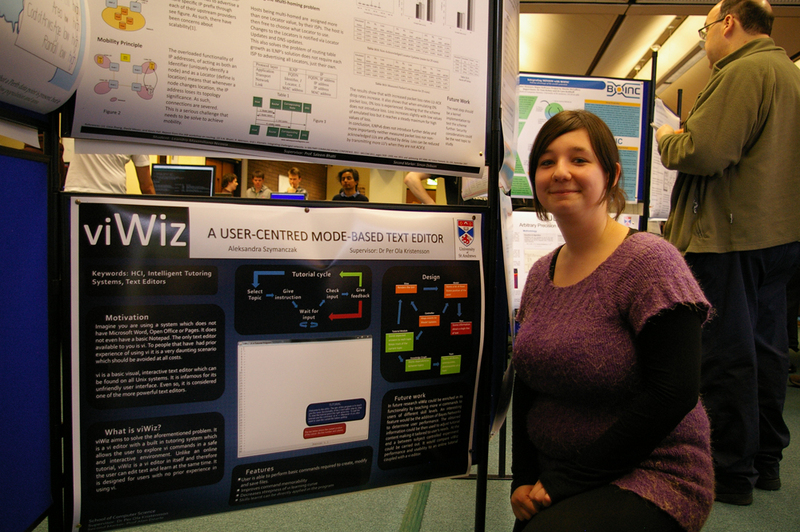 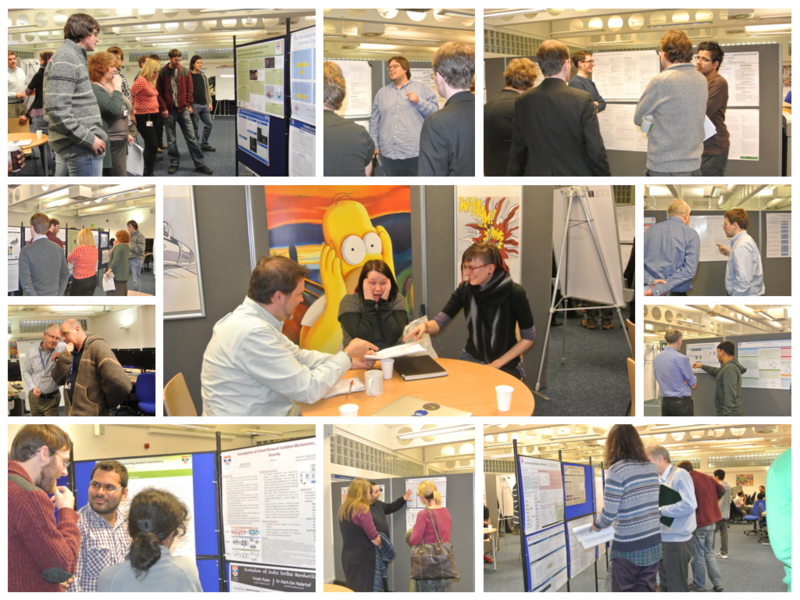 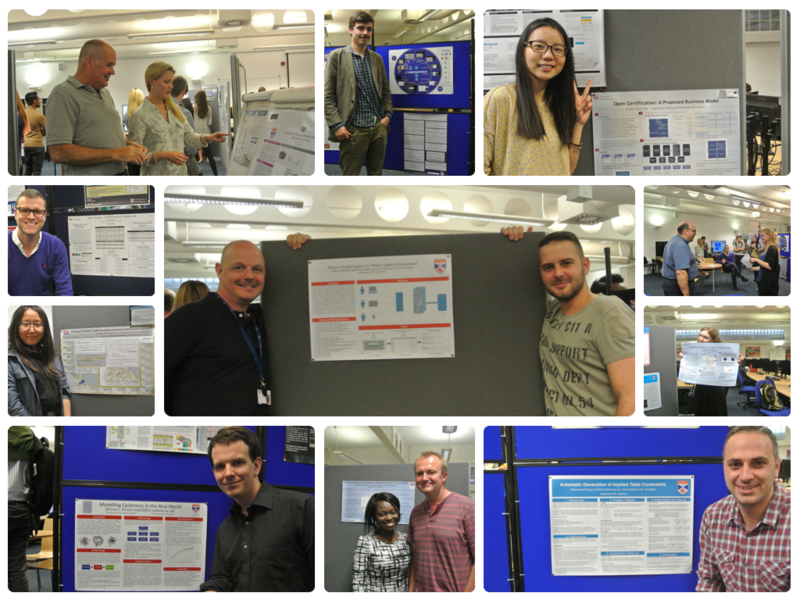 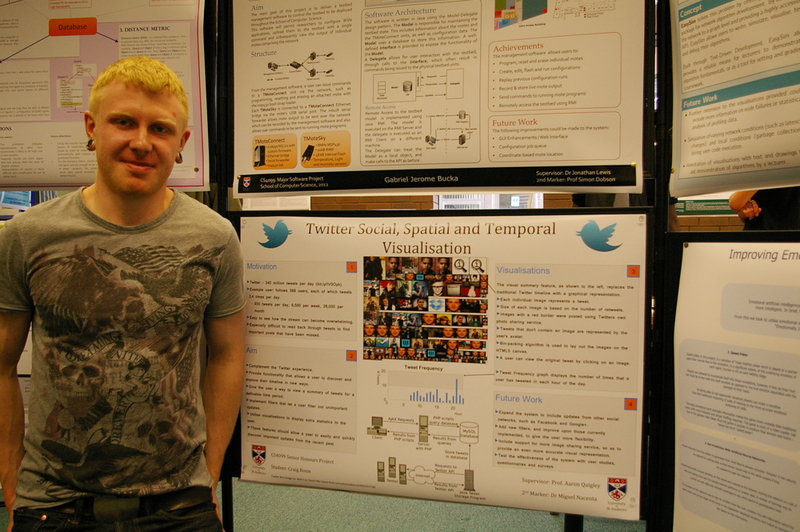 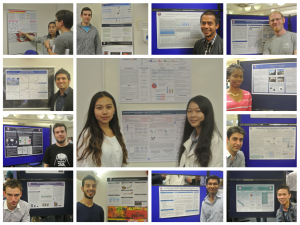 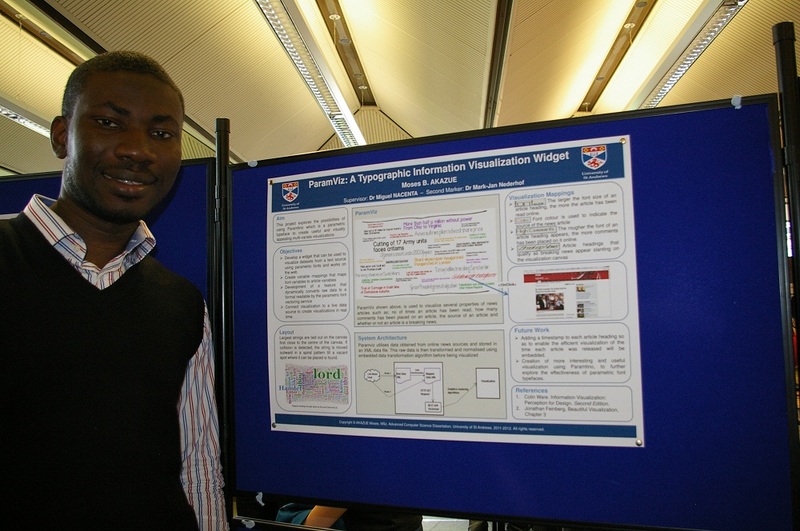 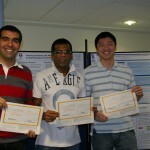 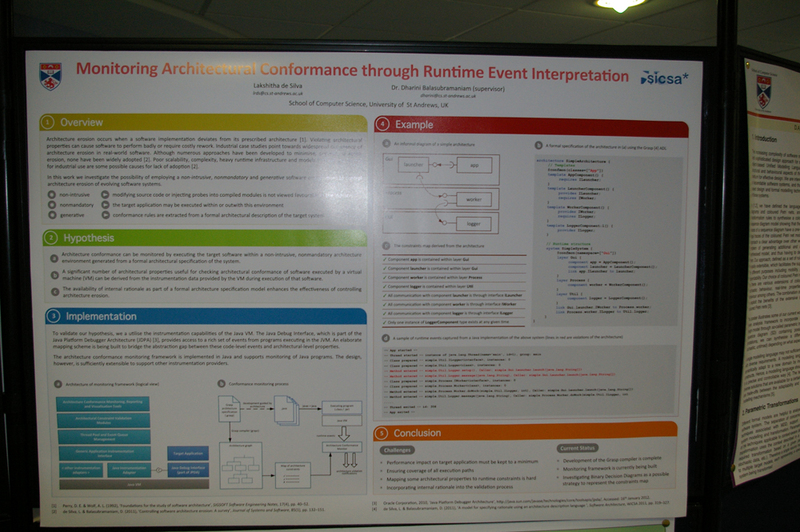 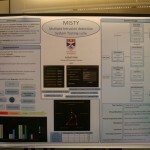 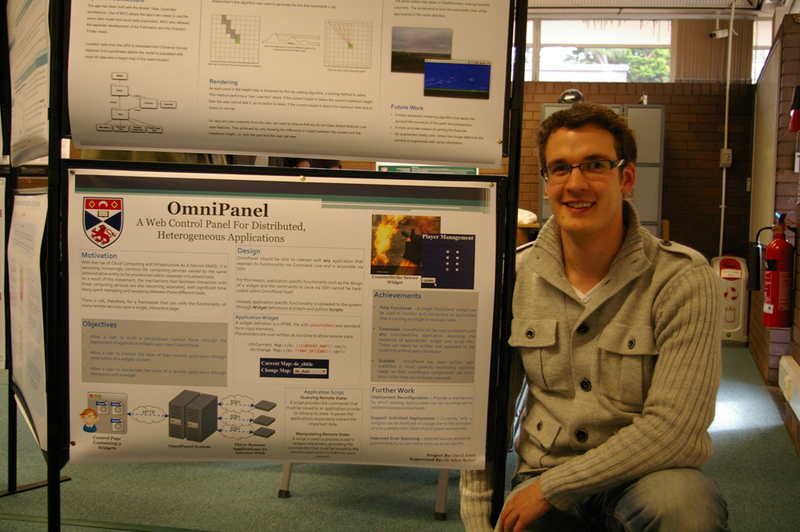 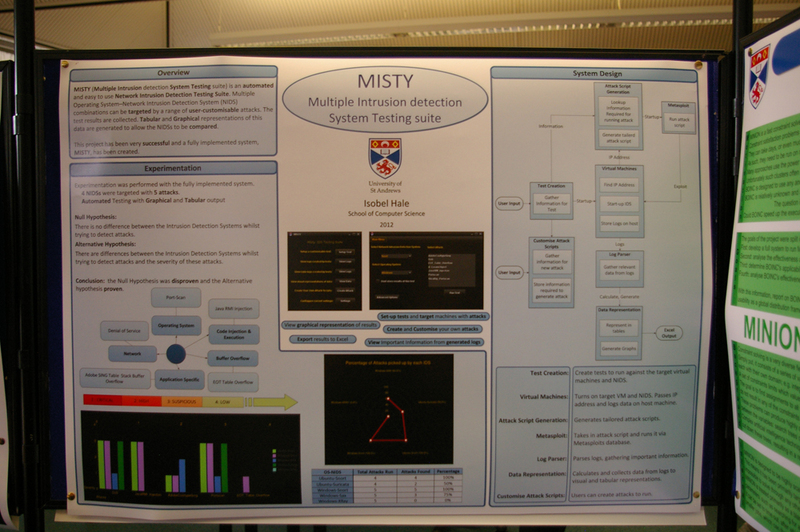 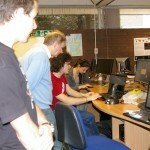 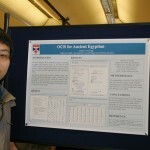 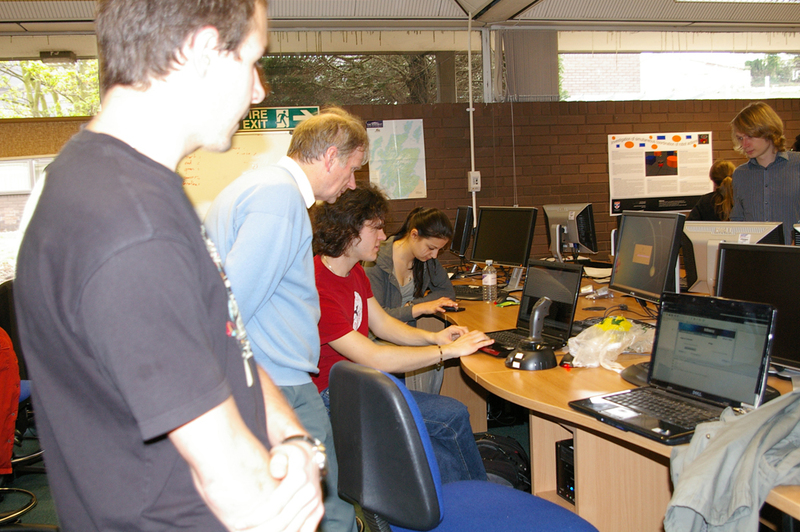 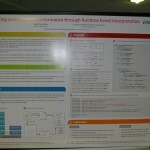 Many of the posters featured at this session, including all the prizewinners, are now available for everyone to look at.